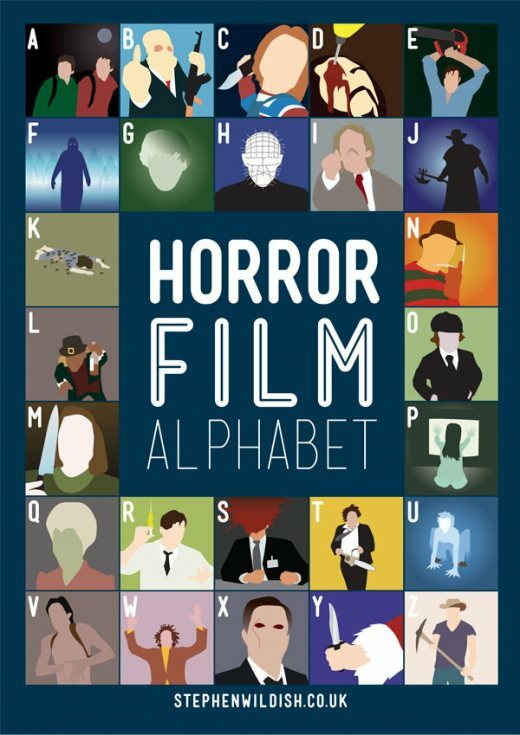 One of my Facebook friends shared this awesome poster and I couldn't help blogging about it since it is so darn cool! Can you name all the films? Even I couldn't name all of them and I was seriously stumped on a few. You can find the answers at the bottom of the post, after the jump! Stephen Wildish has lots of more artwork like this, including a Sci-Fi Film Alphabet and tons of other cool stuff to check out on his website! He runs a creative design company in the UK and it looks like every Friday they try to post something "witty or pretty".